Good to know that you are guys are working on the menu, i didn't had time because of uni and later i lost the files to modify it and the links were down. Not only that, but people were showing up upgrading the fonts and icons, so i also decided to wait and see them finished with that too. 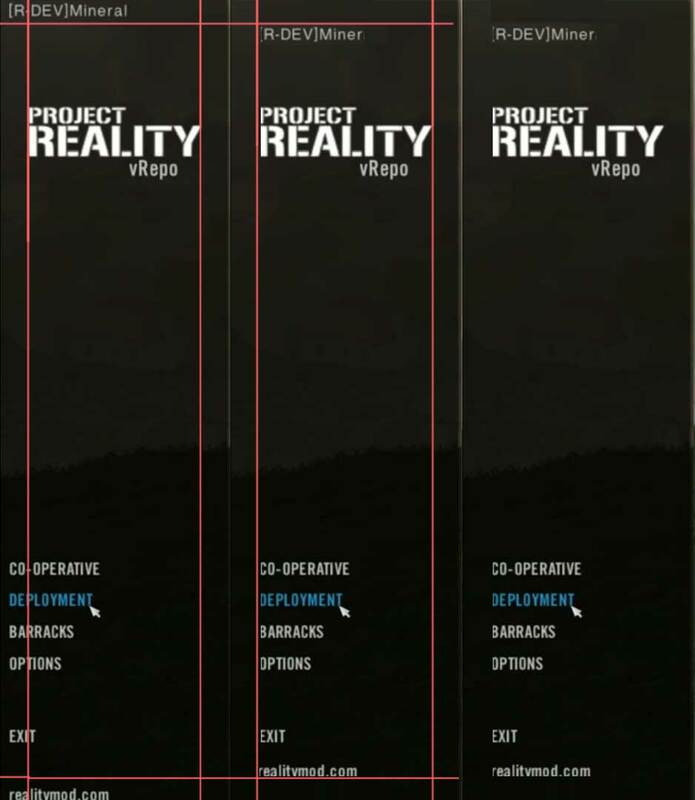 About the design, i see that you used the color scheme from the launcher, i had the same idea back then, but i couldn't figure out a good way to implement that in the in-game UI. I thought it was going to look a bit weird to have those blue colors around that. Kafr Halab looks nice! I loved the lighting. Great work everyone! I'm looking forward to WW2, i'm sure it will be hell a lot fun, missing the old beta already, ehe. Still in the works, won't be in v1.6 but should be in sometime after that. WOW, 1.6 will be a real treat. Awesome work guys, can't wait to play it! Great work guys. Those BGF assets looks awesome. Where did you guys get your markings for the trucks and jeeps? I see the GMC has markings for the ASCZ, The Advanced Section Communication Zone, aka, the famous “Red Ball Express,” which is cool. I just have one question about the jeep since markings really interest me Did you pull them from a specific photo or model? Because they're very unique atm, and since it will be on all Jeeps in the game, it might be best to go for a more 'typical' marking system. ]The registration number on the side starts with a 4, but Jeeps typically had the prefix 20, which stood for ‘reconnaissance’ followed by the vehicle’s registration number. (Typically 6 digits for a later war jeep). I just wanted to point it out since it interests me. Great work! Nice work! Especially those animations. These are great news, looking forward to being able to check those goodies in game. By the way, some Dev blogs seem to be broken to me, including the one regarding the new Mi-8 models. I'm glad to see that you're cleaning up the UI. I think it goes without saying that its very nice to keep us updated with so many details about the upcoming patch. A question would be, since from the last update some numbers have doubled or tripled in the Bug/Feature/Task department (understandably so with the time between it), do you foresee them to further majorly increase? At least in the Feature/Task category, since Bugs are unpredictable. As explained in the text before the image, in the last status update we only showed the WW2 bugs/features and tasks in our image. This time however, since we have merged our WW2 development branch with our main development branch for v1.6 we now merged all issues for WW2 with those for v1.6 that have nothing to do with WW2 theater. Hence the heavy increase in numbers. But yeah overall I'd say we are in feature lock territory where we don't allow anyone to consider any more big features or content additions for v1.6 to be added to the pile, unless they are complete and easy and don't require much testing. Bugs and tasks can always be added if we find additional things that really need to happen before release.